If You Constantly Toss & Turn & Can¡¯t Sleep At Night, Then We¡¯ve Got The Solution! Presenting The Comfortable & 100% Silk Sleeping Mask BY BOBIMU! 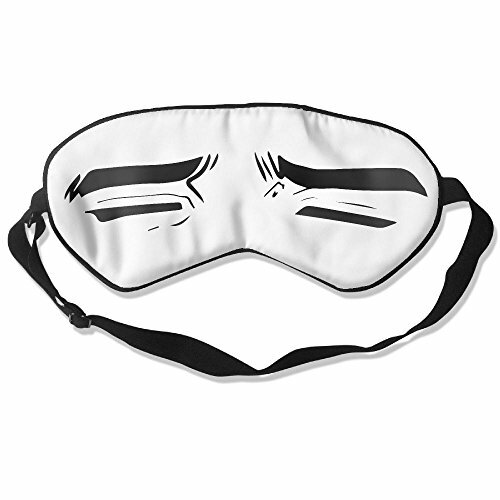 The Sleep Mask Completely Blocks Out All Light And Visual Stimuli So You Can Nap Or Sleep Soundly Anywhere.This Super Soft Eye Mask Is Almost Like Having Your Own Personal Mobile Black-out Curtains! You Can Sleep Like A Baby! Wake Up Feeling And Looking Refreshed! NATURAL SILK MATERIAL - Our Sleep Mask Is Made Of 100% Natural Mulberry Silk!It's Slim And Breathable, Soft And Smooth Texture, Which Gives You A Total Blackout That Will Help You Rest Well. EXCLUSIVE PATTERN DESIGN: Our Pattern Combines Funny And Fashion Elements, You Can Keeping A Good Mood, And Helps You Better Sleep And Look Great. ERGONOMIC DESIGN - This Sleep Eye Mask Designed More Fits Your Cheekbones, Super Shading Effect Provide A More Comfortable Sleeping Environment And Improve Your Sleeping Quality. ADJUSTABLE HEAD STRAP - The Silk Blindfold Features A Comfortable-to-wear, Adjustable And Pain-free Head Strap.The Soft Sleep Mask With Eyes Also Does Not Slip And No Pressure To Your Eyes While Wearing These Sleep Blinders. ULTIMATE RELAXATION - You Can Use Silk Eye Patch During Sleep, Shiftwork, Meditation, Travel, Or Insomnia, Which Can Provide You With An Aid To Relieve Eye Fatigue.